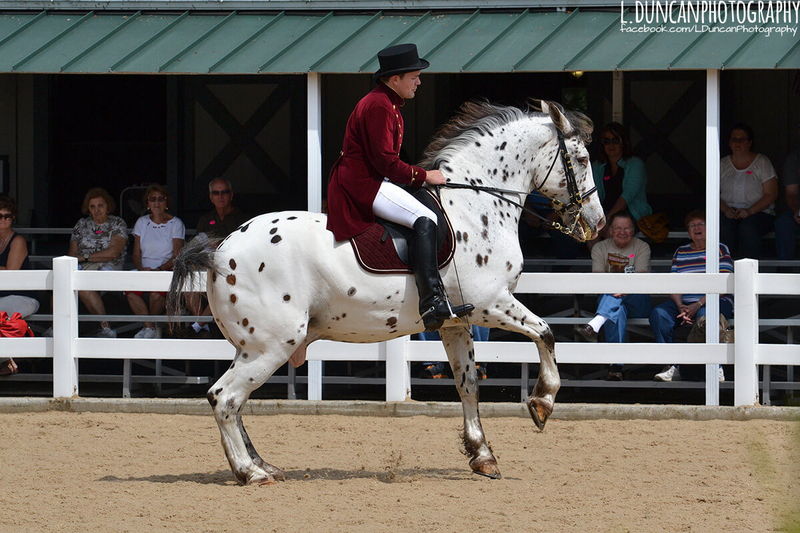 This handsome tri-colored leopard is the son of the well-bred, beautiful moving Percheron stallion Stonewall Showmaster and the mare Stonewall Baby Jane, the first leopard daughter of the foundation Percheron stallion Charlie Degas and out of a direct daughter of the World Champion racehorse and multi-million dollar sire Apache Double. A paternal half-sister, Stonewall Queen of Diamonds became one of the most celebrated hitch mares ever to perform in California. 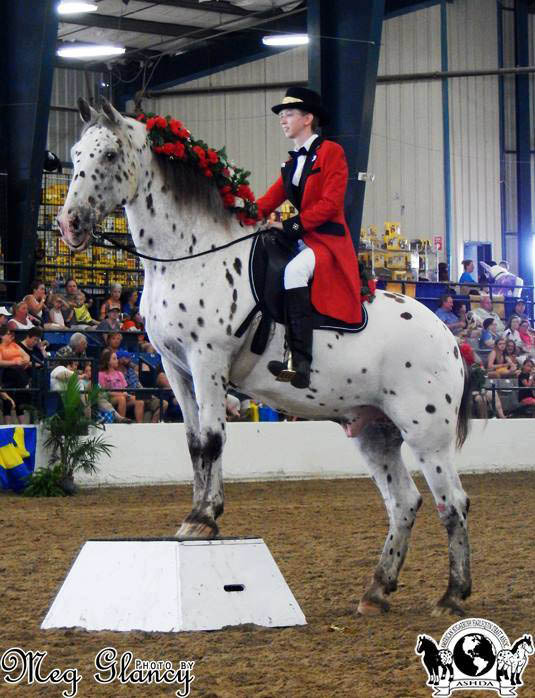 As Michael Muir was preparing to train and compete on the East Coast for a year, to qualify in Combined Driving for Team USA, Stonewall Rascal became “the One who got away.” He was purchased by Patricia Gratton of Florida, then gelded to pursue a career in Haute Ecole and Special Exhibition. Rascal has thrived in the limelight and performed with distinction throughout his life, leaving us to ponder what might have been.